Lately, days feels like slowly passing by that a single minute feels like an eternity. It's hell TBH. Putu, Luffy., Kibi D. Ango and 2 others like this. Ziosa, Putu, Luna <3 and 2 others like this. Ziosa, Putu and Dango like this. But I thought you're "done"? Why are you here again? Dumbass. monster-trio, Ziosa, Putu and 2 others like this. So... we got "Wano" instead of "New World" starting from volume 90 huh... nice move from Viz. monster-trio, Luna <3, Dango and 1 other person like this. I've set myself a new goal, be sociable dammit. monster-trio, Luffy., tangerinesmoke and 5 others like this. Good luck with that, self improvement is admirable. 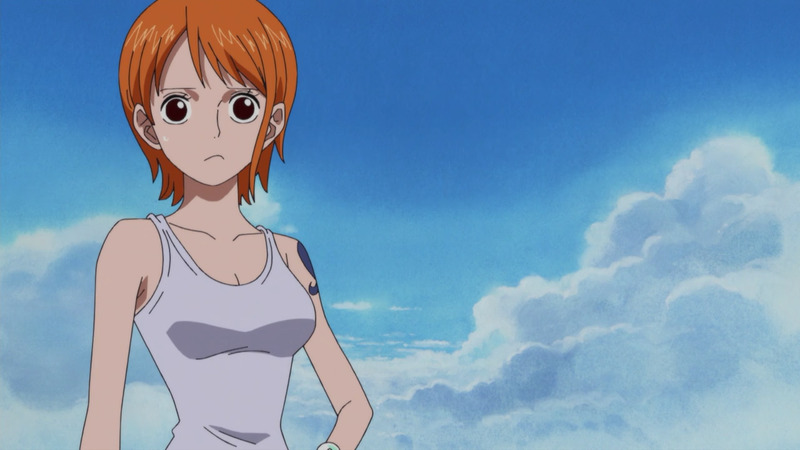 Luffy., tangerinesmoke, Luna <3 and 3 others like this. monster-trio, Luffy., tangerinesmoke and 2 others like this. The promised neverland anime is sooooo damn good. Looking forward to Krone's (epic) faces. monster-trio, Luffy., tangerinesmoke and 3 others like this. Oh... Noblesse is "completed" now huh? What a BULL. monster-trio, Luffy., Stealth Black Sanji and 5 others like this. Is there a possibility for a s2 of some sort? Luffy., Stealth Black Sanji and Monkey D. Harambe like this. Dunno yet. It seems like the series got canceled or the authors simply lacks the interest to keep it going. But I lean on the first more. The writer is already on a new series for a while and the artist is rumored to have already have something to draw in the near future. Luffy. and Stealth Black Sanji like this. I think they ended it openly in a (desperate) attempt to keep it open for a continuation should the fans demand it enough. Or that's just how I see it, at least. Conny's so cute in the anime I'm dying right now... oh. She's also dead. Yohohoho? DEFINITELY NOT!!! Luffy., Camie, tangerinesmoke and 2 others like this. Luffy., Dango, Monkey D. Harambe and 1 other person like this. Luffy., Stealth Black Sanji, Ziosa and 4 others like this. Yayyy. Thanks for the greetings man! Hope 2019 will be a good year to all of us. Luffy., Luna <3, Stealth Black Sanji and 3 others like this. Luffy., Stealth Black Sanji, Ziosa and 1 other person like this. Monkey D. Harambe, Luffy., Stealth Black Sanji and 1 other person like this. Luffy., Monkey D. Harambe, Camie and 5 others like this. Monkey D. Harambe likes this. Ohh....I'm sorry I missed it but Happy belated birthday!!! Thanks mate! I'll try next year haha. Hiken_no_Esu, Stealth Black Sanji, Putu and 2 others like this. You've got it coming! MUHAHAHAHA (trying to laugh like a villain). Thanks to you too mate! You're welcome and I just gave a few. Any idea when the next chapter will come out? Viz says Jan 6 but a spoiler thread opened for ch929 and I am confused now like what the heck? Yeah, Oda takes the most breaks out of the other mangaka so it affects OP the most. Not that it's uncalled for, dude has been working non-stop for 22 years so he needs breaks. Luffy., Monkey D. Harambe, Stealth Black Sanji and 2 others like this. Agreed. And he's once fallen ill somewhere near the timeskip era (can't remember exactly when, sorry *sweating*), or is it? His past sched of only a few hours sleep a day certainly a life burner (Don't think he's still sticking to it now). And not to mention that he is jump's most important author atm. Putu, Hiken_no_Esu, Luffy. and 1 other person like this. Dude is a workaholic, when the timeskip happened SJ told him ''hey take a 1-month break'' and he went to Hawaii. Despite that, he was STILL working on One Piece. Putu, Luffy. and Monkey D. Harambe like this. Hiken_no_Esu, Chris Mic, Luffy. and 3 others like this. Hiken_no_Esu, Luffy., Stealth Black Sanji and 3 others like this. I mean Sueisha does the tankoubon coloring. Luffy., Stealth Black Sanji, Putu and 3 others like this. But aren't the ones on tankoubon and color spreads done by authors/assistants? Color spreads are done by authors/assistant, tankoubon coloring is done by Sueisha. Luffy., Stealth Black Sanji, Putu and 2 others like this. Luffy., Stealth Black Sanji, tangerinesmoke and 4 others like this. Luffy., Stealth Black Sanji, tangerinesmoke and 3 others like this. I like how every week OP is on break, the sarcasm level here on OJ is above the roof. Luffy., Ziosa, Putu and 6 others like this. Hiken_no_Esu, Luffy., Putu and 4 others like this. Putu, Stealth Black Sanji, Hiken_no_Esu and 7 others like this. It's nothing mate. Just paying my good 'ol pal a visit xD. Luffy., Pritam, Putu and 4 others like this. Stealth Black Sanji, Dango, Ziosa and 7 others like this. Putu, Stealth Black Sanji, Dango and 7 others like this. Monkey D. Harambe does not have any items.